Stop me if you’ve heard this one before: Exercise is good for you. Of course you have! It can help you quit smoking. It can boost your ability to recall memories. It can make you less hungry. Needless to say, it’s a cornerstone of making you less fat. The scientific consensus is pretty solid on this one: Exercise rulez. But a New York Times report this morning sheds light on an an aspect of exercise that is less well-known — its effect on the brain. Spoiler alert: It’s real good for it. 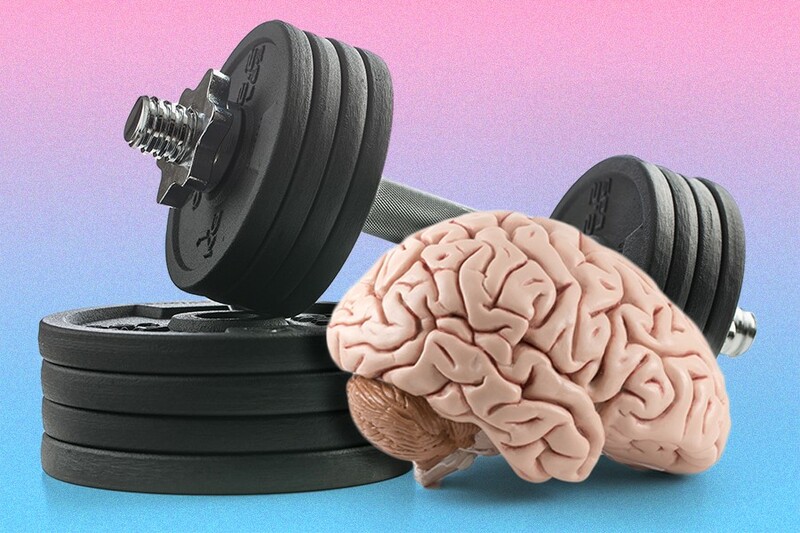 To start, physical activity can jump-start what’s known as neurogenesis, i.e., the creation of new neurons, the cells in your brain responsible for processing, transmitting and receiving information. Not only that, these new neurons are bigger, have longer dendrites — basically the cells’ tail thingies that connect it to your brain’s neural network — and more of them. This is good, researchers think, because these supercharged neurons make better connectors than other brain cells, improving things like spatial memory. Not only that, but they also seem to find their way into areas of the brain most likely to be affected by the ravages of time, perhaps signaling improved protection against issues like memory loss and dementia. And if you thought that was cool, the effect is almost instantaneous — meaning you don’t need to be Diana Nyad to reap the benefits. A new study published in Scientific Reports showed that subjects’ brains were creating new neurons in less than a week after starting to work out. All of this is potentially great news for anyone looking to get off the couch and start developing good exercise habits: If at first you don’t succeed, just keep moving. Everyone’s favorite latin-inspired workout, Zumba, can make you a happier person. So vamos a bailar. If you’re a visual learner, invest in some blackout curtains and ear plugs: A deeper night’s sleep will help your brain process and retain images better during the day. Battling depression? Try painting, cooking, or organized laughing. A banana peel has more uses than just practical jokes: It can whiten your teeth and get rid of warts. Who knew?!? In today’s “no, duh” news, fluid leaking into your ear is probably a sign that something is wrong with you.